How to choose fruit processor machine? There are more and more enterprises in the production line of fruit juice and beverage. There are many varieties in each enterprise. When buying fruit juice processor machines, it is hoped that one device can be applied to many varieties of its own. The following is an introduction to the matters needing attention in the purchase of fruit processor machine with high quality. First of all, you need to determine your own product. Secondly, we must consider the cost performance when buying a fruit juice processor machine. At present, the quality of fruit juice processor machine produced in China has been greatly improved. The proportion of export is very large. The price is also good. Thirdly, you can visit the field, note the major aspects, and pay more attention to small details. Details often determine the quality of the whole machine, and try to bring the sample to the test machine as far as possible. Fourthly, you‘d better choose famous brand fruit processor machine enterprises, the quality is guaranteed. Choose a fruit juice processor machine with mature technology and stable quality, making production faster and more stable, low energy consumption, low manual and low reject rate. Fifthly, choosing fruit processor machines with simple operation and maintenance, complete fittings, and automatic continuous feeding. This can improve production efficiency and reduce labor costs, and is suitable for long-term development of enterprises. It is also best to choose the equipment of fruit juice production line which is reliable. Such as TICO. Sixthly, it is after service. Timely after-sales service is especially important for fruit juice and food processing enterprises, such as milk enterprises. Only a very short production period, if the fruit juice production line problems in production can not be solved immediately, the loss can be imagined. Tianjin Anson International Co., Ltd (TICO) is specialized in the manufacture of fruit juice processor machine. The company is a manufacturer of Fruit Washing Machine, Bucket Elevator, Fruit Sorting Machine, Fruit Crusher Machine, Spiral Juice Extractor, Fruit Peeling and Squeezing Machine, Citrus Fruits Peel Essential Oil Extractor, Fruit Pulping Machine, Centrifugal Juice Disc Separator, Juice Double Filter, Juice Homogenizer, Colloid Mill Machine, Vacuum Degasser, Tube-in-Tube Sterilizer, CIP Systems, PET Bottle Filling Machine, Case Packer Machine, Centrifugal Juice Disc Separator, etc. Our company has many years of experience in production practice, and absorbs advanced technology at home and abroad, constantly improving its products and enjoying a high reputation among users. Contact us for buying high quality fruit juice processor machines. 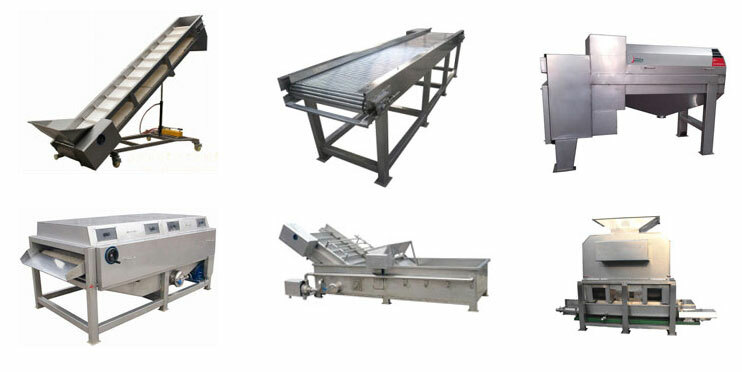 How to choose second-hand fruit processor machine? The fruit processor machine industry came into being with the popularity of many fruit juices and the rise of fruit juice enterprises. Many small entrepreneurs have identified the broad development prospects of the fruit processor industry, thus investing in fruit juice production. In order to ensure the quality of second-hand fruit processor machine, we should pay attention to the following items when purchasing. Before signing the contract, equipment research and consultation should be well done. Check the performance of the equipment. Mechanical moving parts such as pulley, chain, gear and flywheel, and mechanical safety protection devices. Common terminal, transformer and electric cabinet. Safety warning signs for dangerous parts such as injuries, burns, burns, corrosion and electric shock. Operating instructions, technical parameters and safety precautions. Functional operation buttons, emergency stop devices, etc. If the second-hand equipment is found to be unqualified, it shall promptly notify the local inspection and quarantine institution to conduct investigation and handling.